Book Blitz gets deeply theological. When it comes to the debate about the origin of humanity or the origin of the universe, one has two basic options. You can start with a belief in a supernatural possible origin, or you can start without one. If you start with a belief that there is no possible supernatural origin, then that’s where your search ends. The universe is what it is, it happened how it happened, and we’re done here. If you start with a belief in the possibility of the supernatural, then you have further ideas to examine. For example, one must determine which supernatural accounting should be considered. One must determine how the supernatural interacts with the scientifically observed and tested. 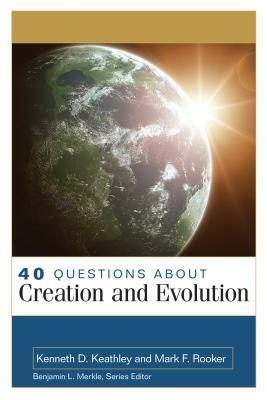 These are the questions that feed into Kregel Academic’s 40 Questions about Creation and Evolution. The first observation on this work is that the authors are theology and Old Testament professors. This demonstrates that the work is aimed at answering questions based in the Bible account of the origin of the universe and humanity. I think the work would benefit from adding an author whose expertise is science, but the authors have well-researched and cited scientific issues where appropriate. The second observation is that this is not really a book about science at all. It is more appropriately considered a book about whether or not the Biblical account can be interpreted in various ways. Is the “day-age” theory tenable based on the text? What of “intelligent design”? How much is “Darwinism” science and how much is it religious/philosophical? These are the questions treated here. The third observation is that in the times where this book treats with science, it does attempt to present even-handed evidences. For example, geological examples are presented that defy easy explanation in the typical young-earth viewpoint as well as those that support that viewpoint. Overall, the science conclusion appears to come back to an undecided viewpoint. The authors promote the idea that science cannot give a fully conclusive answer and that one must find it in examining the Biblical account. Where does this fit into the typical reading program? It’s a pretty serious read. 400 pages of theology, Biblical Studies, and science. Fortunately, it does include footnotes :) but overall, you’re not going to read this for fun on the weekends. (Unless your nerd-level is as high as mine.) However, for those trying to wrestle with how Christian Scripture and the origin of the world work together, this is worth your time. It’s also worth it for anyone preparing an in-depth study on Genesis 1 and 2. Free book in exchange for the review.